THE FILIPINO MIND: Is Education Enough - for Philippine Progress, more specifically for the Native (Indio/Malay) Filipino? Is Education Enough - for Philippine Progress, more specifically for the Native (Indio/Malay) Filipino? We native Filipinos have often heard, been told or conditioned to believe that education will bring individual and consequently national progress. This is part of conventional wisdom. So our parents, many with so much sacrifice to themselves, struggle up to their golden years, just to see us through school. develop critical thinking. to understand, decide and act to improve our society's realities. More specifically, to acquire the critical ability to identify/differentiate the symptoms versus the roots of the daily personal misery and/or that of his milieu. I think our good schools have done a fairly good job on the first but gravely fail in the second. 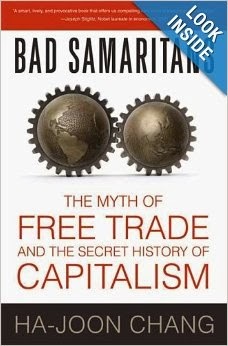 We still hear a lot of talk via advertisement, more aptly propaganda in the mass media about the "foreign investors," (as if we still have much individual foreign investors who can be so influential); let us realize that in a globalized economy the ordinary, individual investor is really a non-factor. [ I find it a tired, worn-out claim that the national economy of our homeland Philippines was second only to Japan -- maybe a far second at that till the 1960s. At the time, education- or literacy-wise, ours was 72% versus 54% for Taiwan (the first of the Asian"miracle" economies); our per capita income was almost double that for Taiwan at $200 vs.$122. Despite our supposed higher educational level, since then the ”Taiwan Miracle” has accomplished one of the best economic growth performances in human history while our homeland did poorly; Taiwan's per capita grew ten times than ours ($18,000 vs. $1,800). how do we implement that kind of education, how and who will finance it? Can we see that happening in present realities where the national leadership and our so-called technocrats have been/are corrupt and have only demonstrated selfish and subservient interests, and are so beholden to foreigners? Can we see that occurring when our educational system was/is designed to follow the International Monetary Fund/World Bank (IMF/WB) "recommendations" as preconditions to continuing loans; and we know these supposedly neutral and benevolent international institutions are prophets of economic and cultural globalization, under different guises/terms like free trade or free market; but applied to us in particular and which we did not and still do not realize is equal to neocolonialism/neoimperialism) -- and which in turn doomed our national economy and our past, present and foreseeable future. I frankly do not see such an enlightened education being realized in our homeland without a strong motivation from a leadership, supported by a nationalistic populace, that would push for a nationalistic educational program. Here again, the prior issue asks how can we have a nationalist leadership and a nationalistic majority? Not from the recent, present and foreseeable governments and institutions. But it really has to start somewhere, somehow. It is discouraging indeed. 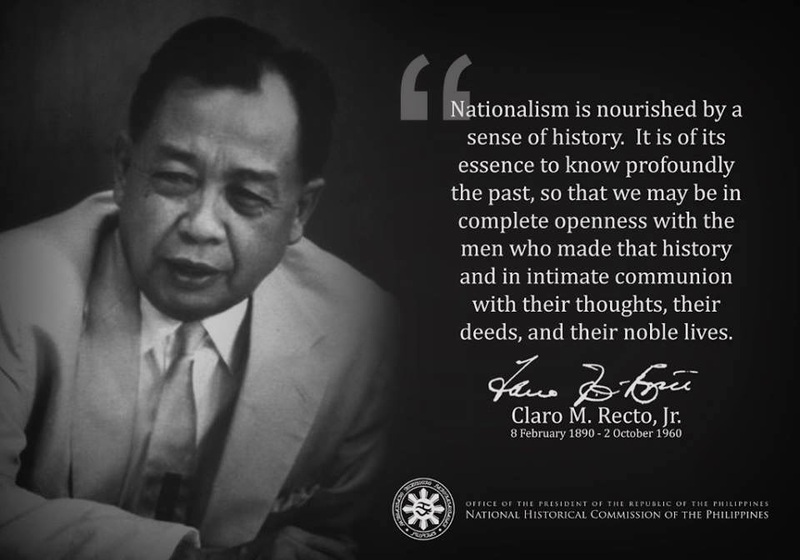 I feel and think that we native Filipinos seem to have significantly lost nationalism among the younger generations since the Marcos Dictatorship, but we just have to continue fighting for Filipino nationalism (that's what I try to do and rant about in my own little way). Else, a nation of decolonized Filipinos will not come to reality. And the Filipino will perpetually be characterized with his damaged culture and continually living his life of selfish individualism, which he at best unknowingly/unconsciously inherited from his culture and reinforced by the historical neglect from his government; with no sense of national community (Filipino nationalism) beyond his circle of family and friends. A country not really his own since it is and will not be under his control. A pretty bleak present and bleaker future for a country of mostly good native people that only a thinking native Filipino can appreciate and sadly long for, especially when he looks at his homeland from afar --in a foreign soil. While many, if not most, of us so-called educated native Filipinos, go along our merry ways; since we and our family are OK, to hell with the rest. I recommended the following videos and book. As much as I want to believe that one day that our motherland 'The Philippines' will be a country on its own and not be a 'developing country' also; unfortunately it is impossible for these things to happen. The Philippines is a beautiful country and the people too. But, the fact to the matter is with or without education the reality is; The Philippines will always be under the America's influences and/or interests or the great western countries unless;;;; a miracle happens????? Frankly I do not believe in miracles though it is quite safe to assume that many fellow natives believe in miracles and/or fate, thanks to the religious fervor drilled into us Filipinos (leaving their brains at the door of the church). As we know there are other factors as alluded to: the colonized Filipino mind and damaged culture resulting from: centuries of foreign occupation and enforced mis-education; postcolonial mindset continued by European/western education/training established locally or attended abroad (with practically no exposure to Eastern thoughts); absence of any significant teaching for nationalist consciousness --suppressed during American colonization-- was nascent during the late 1950s to 1970s; thus now the native outlook is practically overcome by globalization, etc. In toto, a "caged" Filipino mind. A look at our Asian neighbors, one sees in each a common thread of strong nationalism, some thanks to communism, through its efficient/effective organization though most had to go through a bloody revolutionary phase (note nationalism overcame communism and not the other way around, thus contrary to the end game of the Marxist or Maoist), etc. Without repeating myself, only to say I have dwelt on these subjects in other previous posts. With sadness and anger, I see my homeland and its native people which have no reason to be poor being poor; its rich, non-renewable patrimony being taken by foreigners in cahoots with the native oligarchs and educated elite; its present and foreseeable future generations thus promised with more poverty of mind and body --making a vicious circle. All these if absent Filipino nationalism.